Why your organization needs Linkflo? Information Systems in most of the organizations leave decision makers buried under a huge volume of incomplete, inadequate or irrelevant data. Multiple departments or functions operate under information silos. Faced with divisional boundaries on one hand, and overload of inadequate information on the other, the management struggles to make quick, rational and insightful decisions. 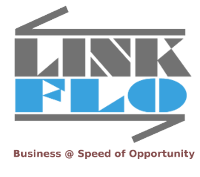 Linkflo Business Transformation System makes your business information flow with unbroken continuity and provides real-time reports and actionable information. Cross-functional Collaboration Issues. Multiple departments and offices interact with customers in a typical organization. Faced with divisional boundaries and inadequate software support, it is often very difficult for them to provide meaningful answers to customer queries. Scalability of Operations. Time consuming manual processes often come in the way of growth. New opportunities, multi- location operations & rapid growth need well designed user friendly software which works uniformly everywhere. Need For Real Time Business Intelligence. Key decision makers & staff need access to real time reports and 'actionable' information. Today's business environment does not provide the luxury of operating on the basis of manually compiled business reports which are often weeks behind in terms of information. Need For Improvement in User Experience & Engagement. With increasing exposure to the world, customers expect well designed processes everywhere where the organizations are able to anticipate their needs and support their requests without going through the frustration of repeating their interaction history. Ever Increasing Marketing Costs. With ever increasing marketing costs, the measurement of the effectiveness of marketing efforts is an imperative. You must know exactly what initiatives are bringing results, and by how much. Lack of Systems to Support Drip Marketing Opportunities. Customers very often do not respond on the very first interaction and most organizations do not have systems to support “Drip Marketing” initiatives in such cases. Most organizations are losing a huge amount of opportunity due to lack of system for Automatic Assignment, Tracking & Monitoring of Leads. Layers of Hierarchy Impedes Meaningful Insights. Senior Management does not have direct access to employee-customer interactions due to layers of hierarchy. What if the management could choose to see any interaction by just clicking the info on their Dashboard and gain Insights from the Voice of a Single Customer? Business Continuity When Employee Turnover Becomes an Issue. Vital Customer history is often lost due to employee turnover. What if the customer history was readily available to the team member replacing the earlier one? Need to Standardize. 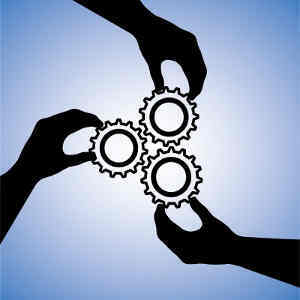 Businesses must operate as one single homogeneous unit irrespective of the location or the person handling. Systems are required to support this need. Be Better at What You Do. Linkflo® Business Transformation System can provide you with capabilities to support these needs. The solution can be customized for your business. Contact us to understand how we can help you become better at what you do.